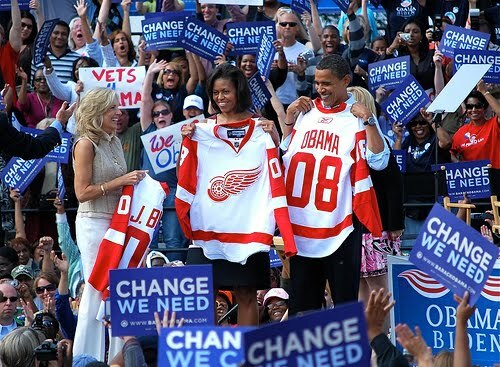 Positive Detroit: President Obama Is Visiting Detroit This Labor Day, September 5th! President Obama Is Visiting Detroit This Labor Day, September 5th! President Barack Obama will travel to Detroit on Sept. 5 to speak at the city's annual Labor Day festivities. The White House says Obama will speak at a Labor Day event sponsored by the Metro Detroit Central Labor Council. It will be Obama's second trip to Michigan in a month. Obama visited a battery plant in Holland, Mich., on Aug. 11. Obama has touted his administration's work to rescue General Motors and Chrysler, which are both headquartered in the Detroit area.